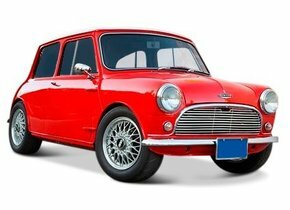 What does a windscreen replacement of an Austin cost? Anyone who still has an Austin today is undoubtedly very proud of it. Despite the fact that persistent quality problems the brand eventually lost its reputation in 1987, the cars are simply beautiful to call. In particular the Austin 16, which was produced in 1934, is a real highlight. This classic can also be found in many collections. Do you also have an Austin with which you still regularly have a nice ride? In that case, you cannot prevent your pearl from occasionally being damaged, for example, by rubble on the windscreen. Fortunately, this does not mean that you have to feel very deep in the pouch right away. Autoglas Concurrent offers you a new Austin windscreen at a very interesting price and without any loss of quality! Damage to the windscreen of a car, even in the case of Austin, is a shame. The damage to your Austin's windscreen always occurs in the form of an asterisk, chip or crack. This is because, unlike the side and rear windows of a car, the windscreen is always made of laminated glass. This not only concerns glass that consists of two layers of glass and where a PVB film can be found in between, but also during the production process this glass was quickly heated and then slowly cooled down. In this way, an extra strength is created which allows us to be reassured that the windscreen of your Austin is able to protect her occupants in an excellent way. A windscreen replacement of an Austin can be accompanied by a very high price tag. This is also the fear of many people. Fortunately, this does not necessarily always have to be the case, on the contrary. The windscreen replacement of your Austin can be done in different ways. On the one hand, you can choose to do this by means of an original windscreen, but you can also opt for an after-market model. An original windscreen Austin has actually only one difference compared to an after-market model and that is that it has a brand logo. This seems to be only a very small difference (and that's it too), but it does result in a much higher price. Because many people are only satisfied with the best and they suspect that an original car window is the highest quality, they take the higher costs for granted. In fact, this really does not need anything. When buying a new Austin windscreen, you can choose to use an after-market car window. This type of car windows are produced in exactly the same factory as the original versions and are also part of the same production line. In practice, this means that there can be absolutely no difference in quality whatsoever. The much higher price that you pay for original Austin automotive glass is therefore only due to the presence of the brand logo, and that is a little bit of a waste of money. Damage to your Austin's windscreen does not automatically cause it to be rejected for the MOT, but the chance does exist. Whether your car is rejected for the MOT or not depends in this case on the exact location of the asterisk. For example, can it be found in the driver's field of view? Simple reflection can then already cause the driver to be blinded. The danger is then too great and your car will be rejected for the MOT. Is the damage to be found in one of the corners of the windscreen? In that case, this often does not mean a major problem and the car can still be approved. Replacing a damaged Austin windscreen is of course much more than simply ordering a new windscreen. After all, it goes without saying that it will have to be replaced by a real expert who, preferably, already has the necessary experience. You can also count on Autoglas Concurrent to find the best possible solution for your situation. We outsource windscreen replacement to one of our certified partners. This way, you can be absolutely sure that this is not only done in the most qualitative, but also in an efficient way. You can then also return to the public road with your Austin. In any case, it is certain that a windscreen replacement of your Austin should be based on the possibilities offered by Autoglas Concurrent!